Consists of dining-living room with fireplace and TV. Three bedrooms, bathroom, shower room, kitchen, local information and games. The three bedrooms are double and two of them can be triple. The kitchen has a hob, dishwasher, microwave with grill, toaster, refrigerator with freezer, coffee maker, pots, plates, etc. Direct access to the porch and garden. 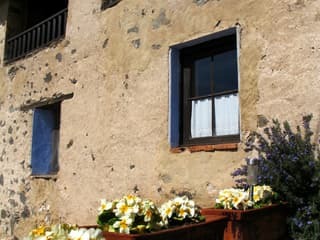 Mas Violella is a farmhouse of the eighteenth century, located in the Natural Park of the Garrotxa Volcanic Zone, near San Juan les Fonts and Castellfollit ode la Roca. 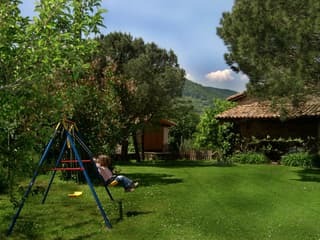 A privileged location next to Olot, volcanoes, beech forest, etc. An unknown area for many people, a unique landscape of incomparable beauty. The whole house has central heating, games, washing machine, detailed information on the area. 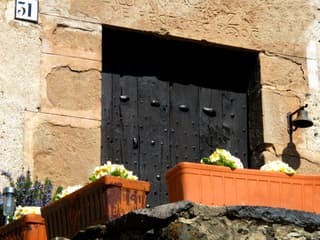 This accommodation can communicate with the lower floor (El Cargol) and accommodate larger group. Parking for cars. 4000 m2 of land with grass, a large porch, barbecue, children's pool, soccer field, volleyball, playground, ping pong and wooden hut for children. 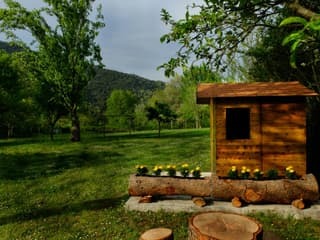 Mas Violella is within the Natural Park of the Garrotxa Volcanic Zone and next to the Natural Area Alta Garrotxa. But they also allow you to quickly access both the slopes and the Costa Brava, Olot, Figueres, Banyoles, Girona ... Unbeatable location.